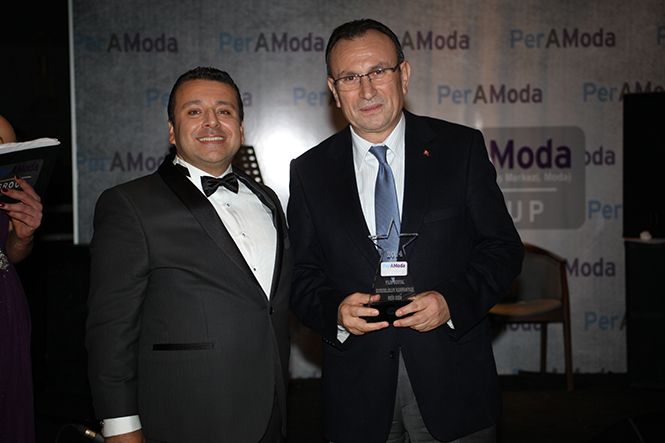 The PerAModa 2015 awards were delivered to its owners.In the PerAModa 2014 Award Ceremony, the leader of dry food sector Reis Gıda received the Social Responsibility Campaign of the Year award. In the extraordinary night organized at the 8th of November, Mehmet Reis, the Chairman of Reis Gıda, received the award from the PerAModa Chairman of Board Engin Yildirim. Reis Gıda, which expressed the ’We are Done with Junk Food’ campaign in every platform for the last 5 years, continues to fight against obesity. Reis Gıda’s Chairman of Board Mehmet Reis drew attention to obesity which threats our country’s health as it threats the world’s. He also said; ‘’ Obesity is the main reason for illnesses, especially like diabetes. As long as the problem of obesity continues, we will maintain our ‘We are Done with Junk Food’ corporate social responsibility project which we as the family of Reis lead. At the PerAModa 2014 Award Ceremony, awards were given to cathegories like Retail, Press, Mall.